Since 1995 Parkway students students have provided all of the “turkeys and fixings,” plus holiday décor, for the house. The Ronald McDonald House of Southern New Jersey celebrated Thanksgiving Day in a great way with a special delivery honoring the children and families currently staying at the House. Early in the morning on Nov. 22 around 9:30 a.m., representatives from Parkway School in Mt. Laurel delivered 13 turkeys, 15 pies, and potatoes, vegetables, juices and fruits and other food, along with holiday decorations, for the house’s dining room and cards for the children at the house. 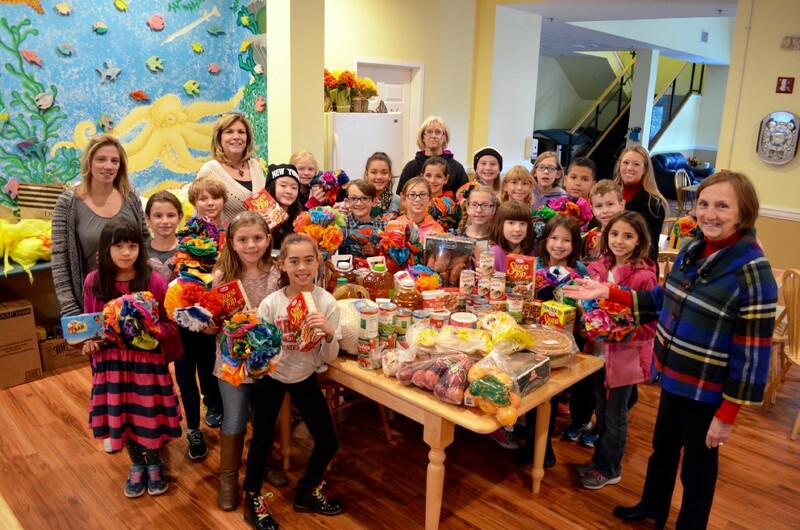 Since 1995 Parkway students have provided all of the “turkeys and fixings,” plus holiday décor, for our The Ronald McDonald House of Southern New Jersey. According to The Ronald McDonald House of Southern New Jersey, this annual event “of caring and sharing” is a tribute to a former teacher Linda Vosbikian, who created the Parkway Circle of Giving Club in memory of her son, a student at the school.